Social Platform welcomes the agreement reached yesterday [7 February] by the European Commission, the European Parliament and the Council of the European Union on a proposed law aimed at ensuring more transparent and predictable working conditions for workers in the EU. The proposal was published end of 2017. It is part of efforts by the EU institutions to put into practice the European Pillar of Social Rights, a European initiative launched in 2017 that aims at delivering new and more effective social rights for people across Europe. The goal of this proposed law is to modernise European labour law, adapting it to the realities of the labour market. Indeed, today, one-in-four employment contracts are for atypical forms of employment, meaning jobs that are not full-time and open-ended. Examples of such forms of employment are part-time work or on-demand work without guaranteed working hours. The agreement broadens and updates some existing obligations to ensure that workers are better informed about their working conditions. Workers across the EU will have the right to receive more information on their working conditions and to receive this information faster. They will also have additional rights, such as to work for other employers outside of agreed working schedules with the first employer and to receive compensation if employers cancel on-demand work assignments last minute. However, we regret that the agreement falls short of some expectations. For instance, workers who work less than twelve hours in a month do not benefit from the rights established in this law. Additionally, the law does not ban zero-hour contracts, a demand that civil society organisations, including Social Platform, and trade unions had made. For more information on the content of the agreement, find Social Platform’s analysis below. The provisional agreement now has to be formally adopted by the European Parliament and the Council of the EU. We call on both institutions to swiftly adopt this proposal, and on EU Member States to ambitiously translate the content of the EU law into their national laws and fully put it into practice, consulting civil society organisations and social partners in the process. On 7 February the European Commission, the European Parliament and the Council of the European Union reached a provisional agreement on the proposed law aimed at ensuring more transparent and predictable working conditions for workers in the EU. The proposal was put forward by the European Commission at the end of 2017. It is part of efforts by the EU institutions to put into practice the European Pillar of Social Rights, a European initiative launched in 2017 that aims at delivering new and more effective social rights for people across Europe. The goal of this proposal is to modernise European labour law, adapting it to new realities of the labour market. Indeed, today, one-in-four employment contracts are atypical forms of employment, meaning jobs that are not full time and open-ended. Examples of such forms of employment are part-time work or on-demand work without guaranteed working hours. The agreement broadens and updates some existing obligations established in the so-called “Written Statement Directive” to ensure that workers are well informed about their working conditions. It creates rules with regards to the content, form and timing of information on their working conditions that must be provided to workers. It also establishes new minimum rights and protections for workers that are not contained in the “Written Statement Directive”. 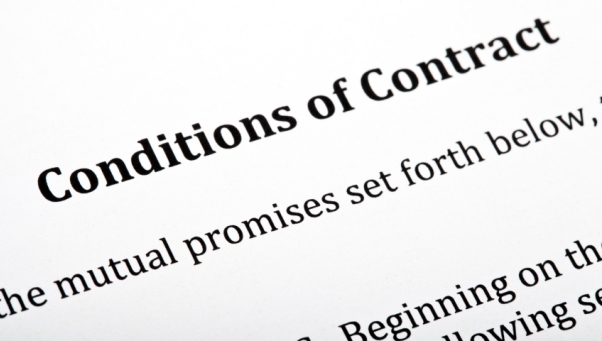 Employers will have to inform workers of several crucial elements regarding their working contract within certain time frames. Essential information will need to be provided between the first day of work and within the first week. Additional information can be provided within one month. This is an improvement to the current situation, in which employers can provide information within two months after the start of the work contract. Some groups of workers, such as workers on zero-hour contracts, domestic or voucher-based workers, platform workers and other short-term workers, who were until now excluded from existing protections, are now covered by the law. Unfortunately, in some regards, the agreement does not reach the level of ambition advocated for by civil society organisations, including Social Platform, and trade unions. For instance, the rules do not apply to workers who work less than twelve hours per month. This is an improvement to the current situation in which workers who work less than 32 hours per month can be excluded from the rules. Nevertheless, we regret that the demands of the European Parliament to remove all thresholds have not been listened to. Additionally, some of the rules of the agreement do not apply to certain groups of workers, such as civil servants, armed forces, emergency services or law enforcement services. We also regret that the agreement does not prohibit zero-hour contracts, a demand that had been made by civil society and trade unions. Finally, it is regrettable that workers are not given the right to transfer to a more secure form of employment: employers only have to consider and reply to requests in that regard. The provisional agreement now has to be formally adopted by the European Parliament and the Council of the EU. We call on both institutions to adopt this proposal, and on EU Member States to ambitiously translate the content of the EU law into their national law and fully put it into practice, consulting social partners and civil society organisations in the process. For more information please contact Katja Reuter (katja.reuter@socialplatform.org), Policy and Advocacy Officer.